This is the time of year when we here in Hawaii mark the change of seasons. It’s not a frost on the bog or leaves changing color. Instead it’s the change in surf. During the spring and summer the surf comes from the south with the storms moving across the southern latitudes. During the fall and winter storms move across the Northern Pacific and the North shore of Oahu is the place to be for surf. I’ve found October tends to be hottest and muggiest time of year because the first storms cut off the trade wind flow. What wind we get is from the south and hot and includes Vog from the eruption on the Big Island. Last week was typical but the Vog got particularly intense. 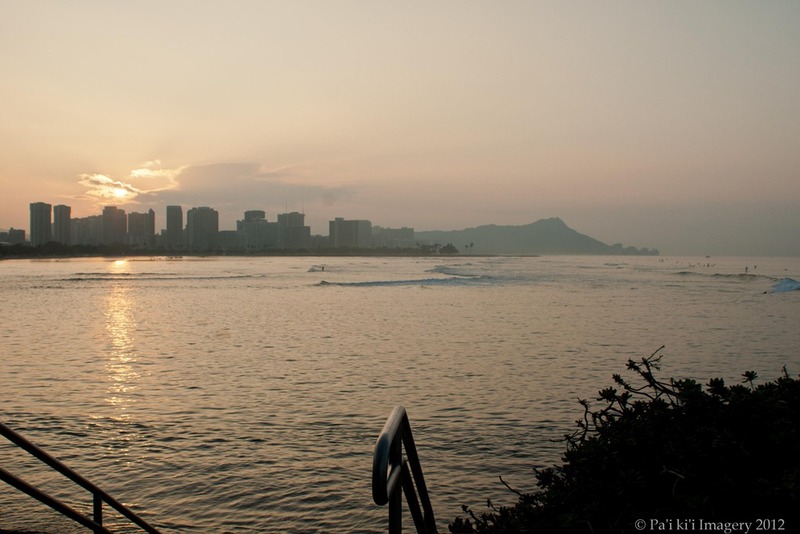 This image is from Point Panic looking towards Ala Moana Beach Park, Waikiki, and Diamond Head. It was the last gasp of the Vog. Later in the morning the trades came back and by the end of the day the sky was clear.